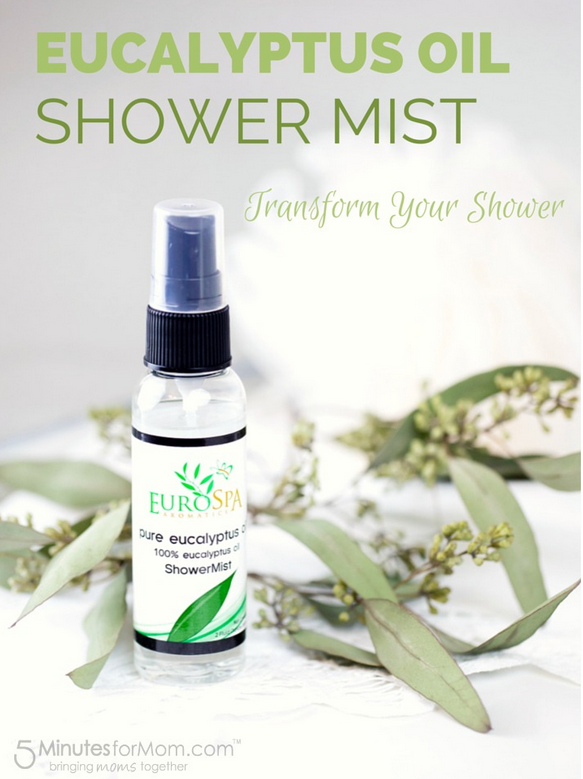 We know our eucalyptus oil shower spray is amazing. But when moms who've 'tried everything' use and rave about our product, our ears perk up and we get excited. 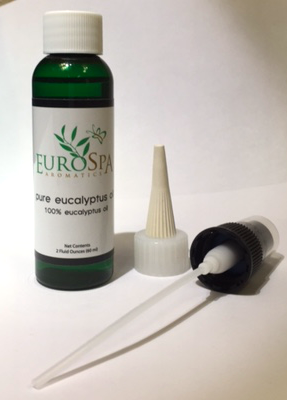 Eucalyptus oil is a powerful and healing tool for better internal health through supporting the body's respiratory system with the added bonus of energizing the mind, and bringing relief to body aches and soreness. Who wouldn't want that? "I realize that it seems like 95% of people on this continent are now using essential oils to treat everything from their headaches to their tummy aches to their toe fungus, and I have jumped on that essential oil band wagon as well. I diffuse oils constantly – I have a diffuser by my bed and one in my kitchen. I rub them into my temples and the bottoms of my feet. I drink them, cook with them, clean with them and even bathe with them. But for some reason, I had never showered with essential oils. I guess I needed EuroSpa to make a shower mist with 100% pure eucalyptus oil and tell me to spray it into the steam of a hot shower for me to figure it out. 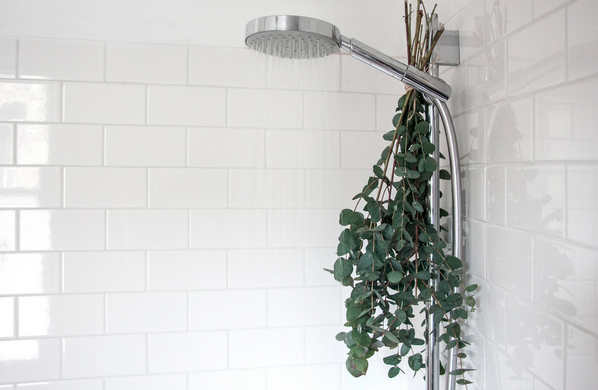 It wakes me up — Yes, I have always used my morning shower to “wake up,” but adding eucalyptus oil to that morning wake up is like adding a shot of caffeine to my shower experience, but without any caffeine needed! It clears out my sinuses — I don’t always have a cold. Although, as a mom with grade school kids, it seems like I am usually fighting off something. But even when I don’t have a virus, the eucalyptus oil seems to open up my sinuses, like I am breathing in fresh, misty mountain air. It is invigorating — I am not a morning person. I have a hard time “getting started.” But some deep breaths of eucalyptus invigorates me from the inside and out. It makes me a little bit more ready for my day. It feels like a spa — I haven’t had a facial in years, maybe decades. Going to the spa just isn’t in my budget. But with a few squirts of eucalyptus oil into the hot steam of my shower, my morning shower just went up in value. An easy taste of affordable indulgence. Begin by spraying one or two spritzes into the palms of your hands. Rub vigorously together to create heat. Now cup and bring slowly to your nose and breath in gently. Before you get in the shower, run hot water and spray into the steam. While you’re in the shower, you can also spray above the shower head. You may use between 5 to 10 sprays depending on how rich you want the scent." We want to extend a hearty THANK YOU to Janice for preaching on behalf of such a worthy cause - your health! 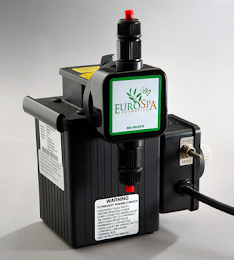 At Eurospa, we pride ourselves on the quality and efficiency of our eucalyptus oil; that even the tops spas around the world want to be part of and experience! You can be one of the many that enjoy the benefits of Eurospa's Eucalyptus Oil Shower Spray today. Click the link and get yours. It's that simple. You can thank us later.